The Boston Chapter of the Preventive Cardiovascular Nursing Association serves areas of Massachusetts, Southern New Hampshire, Southern Maine, Rhode Island. Contact Heather to learn more about getting involved with the Boston Chapter. The Boston PCNA Chapter was established in 2014 to serve as a place for PCNA members in the region to connect and collaborate. While many active chapter members are in the Boston area, we also are thrilled to have participation from nurses in Rhode Island, New Hampshire, and Maine. Our members’ expertise is wide-ranging and spans all levels of prevention and stages of life; in recognition of this, we design our yearly Fall program to interest as broad an audience as possible. In the future, our chapter strives for greater participation in regular networking events, and to act as a resource for prevention to local communities. 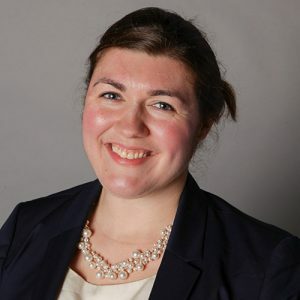 Heather Harker Ryan is a PhD Candidate in Nursing and Population Health at the University of Massachusetts Boston. Heather held the role of Program Nurse for the Preventive Cardiology Program at Boston Children’s Hospital until July 2015, where she assisted in the management of children and families with cardiovascular risk factors. Currently, she is the lecturer in undergraduate Nursing Care of Children at the University of Massachusetts Boston and has a research appointment in cardiology at Boston Children’s Hospital. Heather’s research interests lie in the family experience and parenting implications for management of children diagnosed with Familial Hypercholesterolemia.